The Achaemenid empire was created in the space of less than thirty years and dominated, with considerable success, a region stretching from Central Asia to the Aegean for around 200 years. How did the Persian kings and ruling elite visualise their immense power? How was that vision expressed? 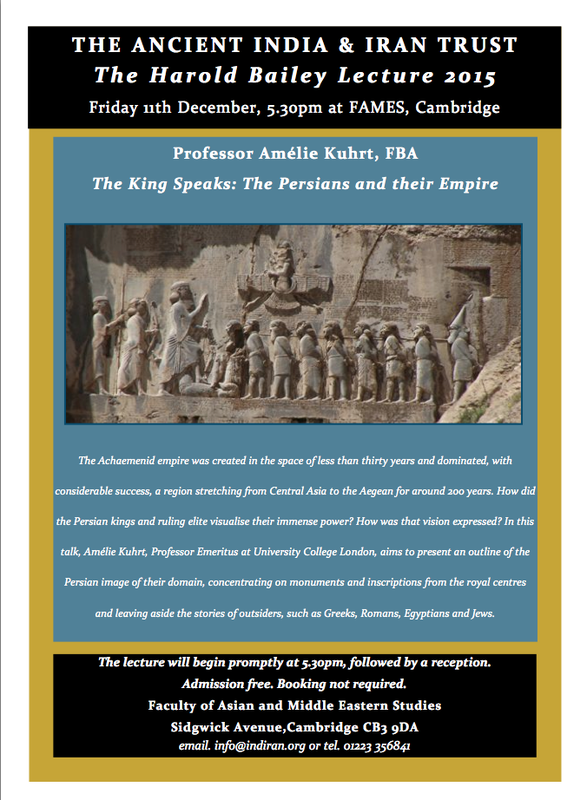 In this talk, Amélie Kuhrt, Professor Emeritus at University College London, aims to present an outline of the Persian image of their domain, concentrating on monuments and inscriptions from the royal centres and leaving aside the stories of outsiders, such as Greeks, Romans, Egyptians and Jews. The lecture will begin promptly at 5.30pm, followed by a reception. Admission free. Booking not required.